A concerned resident sent the Mail this photo of the creek. 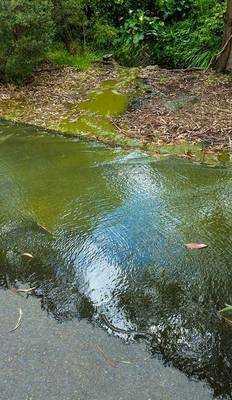 Bright green water captured running into Graceburn Creek in Healesville is nothing to worry about, says Yarra Ranges Council. Environment and engineering director Mark Varmalis said the council tested the water in the Healesville Outdoor Pool for chemicals before emptying the pool for cleaning as part of regular preparations for the swimming season. “Our tests indicated the water was free from any chemicals associated with chlorination and safe to be disposed of, so most of the water was then discharged into the sewer system,” he said. “A small amount of clear water from the pool was discharged onto the grassed area around the pool, which then filtered away safely. 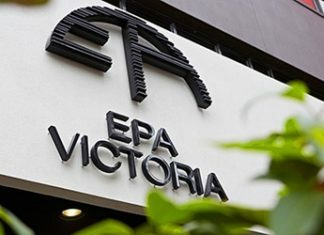 Mr Varmalis said that following contact from the Environment Protection Authority (EPA) Victoria, responding to a concerned resident’s report, the council elected to drain all the remaining water into the sewer. “Council reported this back to the EPA, which was satisfied with our actions,” he said. Exactly what tests did the Yarra Ranges Council conduct? what were the results of such tests, What qualifications does the person who supposedly did the water tests have? I would like to see the results of any such tests, I personally have documented evidence showing that the Yarra Ranges Council will blatantly lie to save face or to avert criticism.